The count down to the T20 World Cup 2020 is on and registration for early ticket access is now open. Further bolstering Geelong’s standing as Australia’s leading regional events city, GMHBA Stadium will host 6 group matches in what will be the first time the ICC T20 World Cup has been held in Australia. 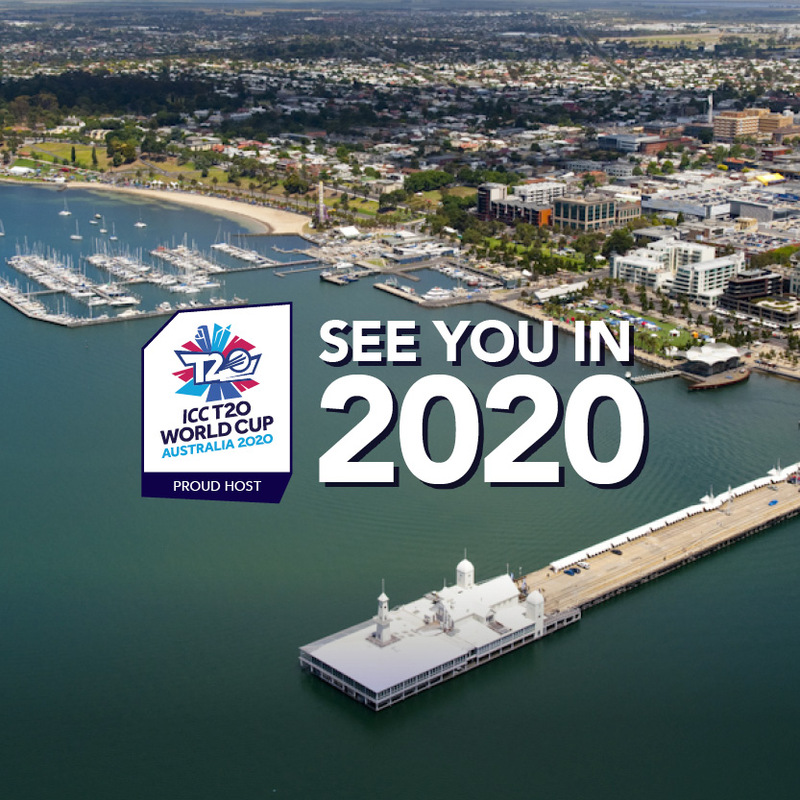 Geelong is the only regional city to host a men’s match in the T20 World Cup 2020, alongside other major cities including Melbourne, Adelaide, Brisbane, Hobart, Perth and Sydney. For the first time, men’s and women’s competitions will be played as standalone events in the same host country and in the same year. Thousands of people are expected to visit the region to catch all the colour and excitement that T20 Cricket brings. GMHBA Stadium has established itself in recent years as Australia’s regional home of Cricket with the Australian, Sri Lankan and West Indies national teams having all played under the Stadiums iconic light towers. Earlier this year, the Big Bash League played its first-ever game for points in Geelong. The Double Header between the Melbourne Renegades and Sydney Sixes saw over 23,500 fans flock to the Stadium. Geelong will host two Big Bash League games in 2019, with the Melbourne Renegades taking on the Adelaide Strikers and Brisbane Heat on 3rd and 13th of January respectively. The push to grow cricket globally through Twenty20 cricket has seen the International Cricket Council rename the format’s global tournament. On Friday, the ICC announced that the World T20 will be known as the T20 World Cup from 2020 onwards. The elevation of the game to World Cup status signifies the importance of the shortest format of the game, and raises the event to equal billing with the 50-over Cricket World Cup.